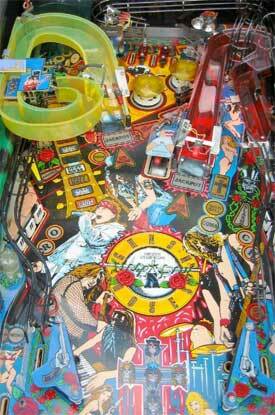 Check out these Data East Guns N Roses Pinball Machines for sale. You will also find parts and accessories for current owners including the axl plastic, alternate translite, topper, LED kit, rubber ring kits, decals, ramps, manuals, translites, flyers, and sling shots plastics. 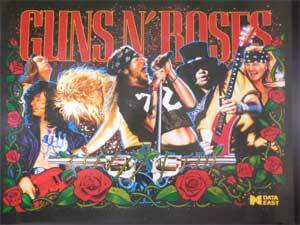 Guns N Roses leaps off the stage and into your location with non-stop head-banging hard rock, in-your-face. screaming pinball action! This Pin's got ATTITUDE!